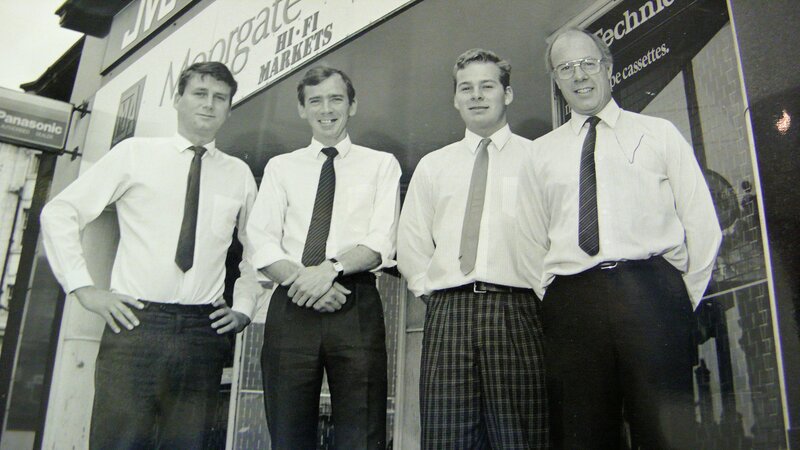 Our history with left to right; Robert Iwan, Nigel Charlton, Paul Hobson and Keith Hobson. Taken outside our first store at the foot of Ship Hill in Rotherham. 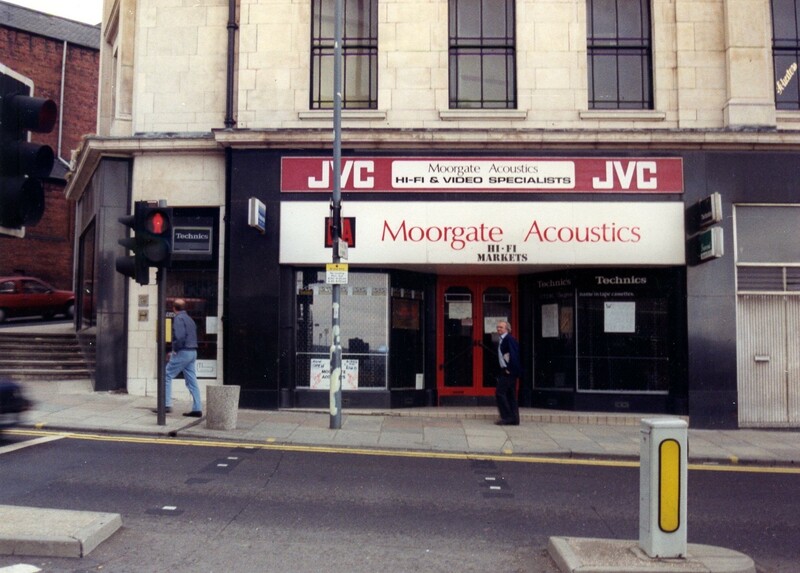 Moorgate Acoustics was founded in by Keith Hobson in 1981 with the aim of helping discriminating customers get better sound at home. Keith was an engineer by trade who’s passion for music led to a keen interest in Hi-fi as the best means to appreciate it. Frustrated by the relatively poor standards of service available in South Yorkshire, Keith’s redundancy from Sound 70’s on Barclay Precinct afforded him the opportunity to put his own ideas into practice and start his own company. His experiences as a customer enabled him to see things from a different stand-point and introduce facilities and services that he’d only dreamed of when he started out. Starting from scratch, he chose to stock only those products which offered the best sound. Next he added listening rooms, where people could actually listen to the equipment of their choice. This seems obvious now but over thirty years ago Moorgate was one of the first shops to offer proper demonstration. Finally he developed the sort of “no-quibble” back-up service that he knew customers deserved. Music has always been critical at Moorgate Acoustics. Getting the best from recorded music is a passion that drives each of us and it one that we share with many of our customers. Keith found out early on that good staff are critical to the business, so instead of employing trained sales people or those who had worked in other Hi-fi shops, he selected people with a keen interest in music and an enthusiasm for great sound. Although he learned the business side in order to survive, Moorgate staff; like Keith are music lovers and first and foremost. Today we know that only thrilled customers are happy to recommend us to their friends as well as returning for future purchases. Satisfied customers have built our business and enabled it to grow. Over the years we’ve seen levels of performance improve dramatically and value for money head the same way too. The range of equipment that we offer for sale now truly offers superb all-round performance, build quality and reliability. Manufacturers investing in state-of-the-art equipment know that within 5 years that precious technology will be available for those purchasing their budget equipment. 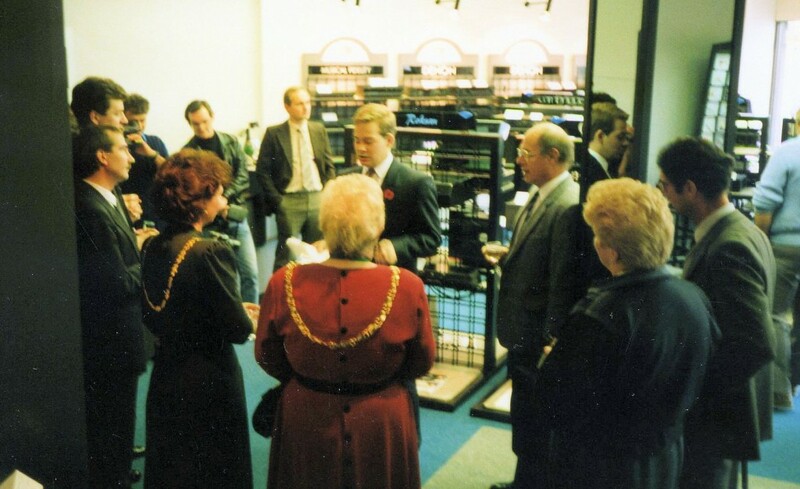 Opening the Sheffield Store in 1989. As a result of Keith’s hard work, we are now recognized as one of the twenty best Hi-fi shops in the UK and the seed he planted still grows. This does not mean we are complacent; in fact quite the reverse. In order to ensure we stay one step ahead of our competition, we constantly strive to improve all aspects of our facilities, product and service. When we are not busy serving our customers, we are in the listening room selecting new products to add to our selection. We figure that if our listening room is good enough to help our customer choose what to buy, it’s good enough for us to select the stock we supply. We we stock the sort of equipment we would buy ourselves. Our selection process involves listening in our demo room, exactly in the same way that our customers do. We always listen to a component in a system that is relative to it’s real value. We don’t think there’s much use listening to £200 speakers with a £2,000 amplifier, for instance (like the Hi-fi Magazines do). Instead we’d listen to the speakers with a good budget amp/CD and sensibly priced cables – just the sort of system that they were intended to be used with. In short we use the same principles that our customers make prior to a purchase. My name is Paul Hobson and I’m Keith’s son. I joined the company 34 years ago, learning all I know from my father and the excellent people who have worked for us over the years. Keith is mostly retired now but still active in the running of the company and his experience and enthusiasm continue to win new customers and friends. You will see him at most of our musical events and often in-store listening to new equipment. The internet has enabled us to reach customers near and far and keep in touch with them more easily. Our business is sometimes like a community of people who all share our passion for music. Despite growth and a great many changes, the company still stands by Keith’s original goal of helping discriminating people get great sound at home. Our commitment is to our customers first and in order to keep this commitment we will strive to maintain the highest standards in all we do. Finding the right shop is still the best way to get a good system and everything we do is designed to aid you get the system of your dreams. In a market led by advancing technology and a great deal of change, it is our high standards that remain unchanged and underpin everything we do. We’ve recently moved to a better store with on-site parking. 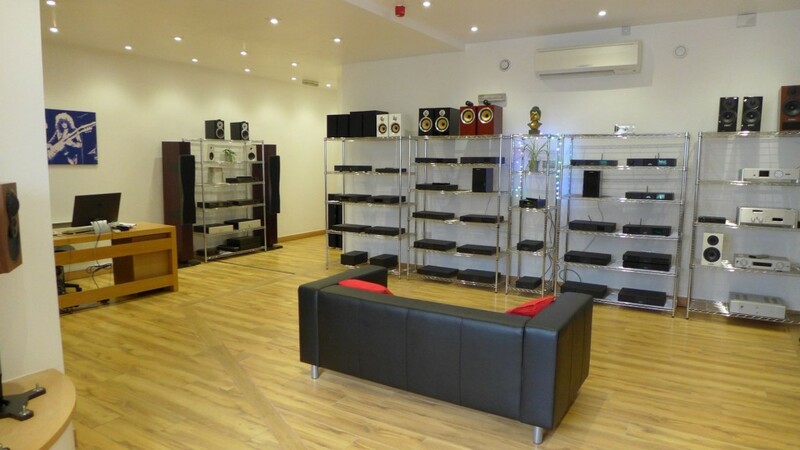 We’ve put all our years of experience into making the shop the best place to relax and choose a stereo system. Take the time to visit us and find out how we can get the very best from music in your home. You’ll find that all of us share Keith’s enthusiasm for product and service and that we are willing to do everything in our power to help you.